John Kennedy famously said that change is ‘the law of life’. Most of us would agree and although often measured and cautious, in business we tend to be ambitious about change and innovation. It drives competitive advantage and garners customer approval. But when it comes to business partnerships there is something about familiarity and trust that is also highly valued. When supplier partnerships continue to work, where a level of confidence and trust worthiness prevails, then why change? 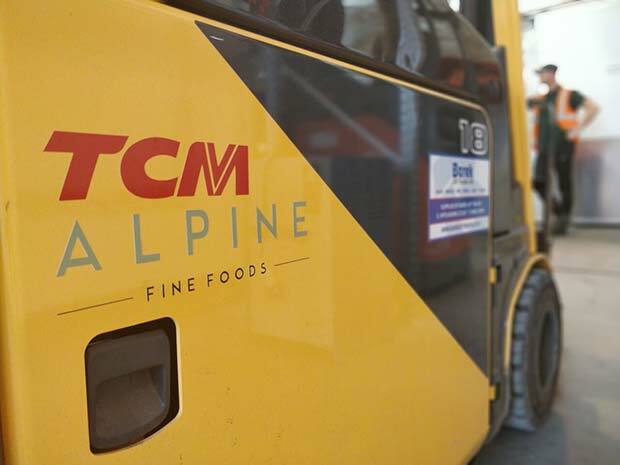 When foods supplier Alpine Fine Foods needed to up-date their materials handling equipment at their two sites in Hull, Managing Director Phil Davis, rightly checked the market for alternative options. But he was also mindful that a relationship with a solid local provider that had repeatedly demonstrated a high level of service and support was itself an important factor that led to a decision to award a further 5year deal to Barek Lift Trucks. Alpine Fine Foods is a food wholesaling service supplying businesses from local independent restaurant and food outlets, schools and care homes or large multi-site organizations from a large stock of ambient, chilled, frozen, fresh meat, fruit and vegetables and non-food products. They operate from two sites, a chilled and ambient stock warehouse and a frozen products facility, both located in Hull. A daily delivery service across six days reaches large parts of northern England and north Midlands, using a 35- vehicle fleet of multitemperature vans. In a typical 24hour cycle around 20 tonnes of product can be in and out of their warehouses, serving their diverse base of around 600 customers. Phil Davis explained how stock management and materials handling were at the core of their operation. “We have around 3,500 product lines, so we have a smart system of procurement and replacement to ensure that we are responding to demand daily. We also need to move stocks of products in and out of the warehouses with a daily turnover of about 15-20 tonnes. That means our forklifts are operating non-stop to ensure that product is there ready to be picked and orders completed”. 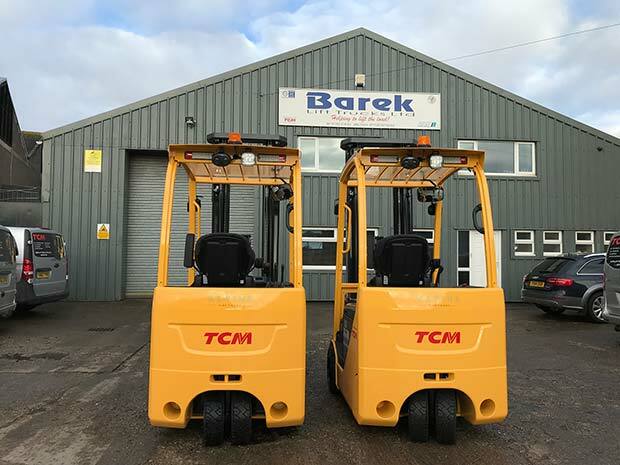 The new 5-year agreement with Barek Lift Trucks included the latest TCM electric 3-wheel forklifts which according to Phil their operators are very happy with. “The new specification trucks, with enhanced safety and visibility features are a firm favourite with our drivers and the advantage of only having to charge them once every week or so, means there is little downtime”. “Our operation is particularly demanding on our forklifts, they are in constant action, so need to be robustly engineered and mechanically tough to stand the course. We do not keep spare, back-up forklifts, so if there is a failure we are really under pressure”. That is where the Barek and TCM relationship plays a critical role. TCM are renowned for their Japanese designed and European built trucks. Their stout performance and mechanical durability makes them the ideal choice for high activity applications across the distribution and industrial sectors. The TCM 3-wheel FB electric truck supplied by Barek is believed to have the lowest energy consumption in its class, meaning greater economy and greater productive time between charging. It also offers improved driver control and comfort, plus higher all-round visibility, which is so important in warehouse locations. Barek’s relationship extends back into the Alpine Foods parent business and was introduced into Alpine about 5years ago. “Their service level has been exemplary over that time. They are responsive and flexible, which is just what we need when any truck downtime is extremely disruptive”, said Davis. He referred to a busy but cold and wet winter morning, when a forklift developed an electrical fault. “It was our fault, but never-the-less, Barek were really understanding and were on site very quickly with a stand-in truck. The fault was then repaired which meant we lost little productive time. It is that level of service and response that made it a much easier decision to extend our trucks contract for a further 5 years”.